So far, the Cubs bullpen has been a key contributor to their success in 2018. Making up for a lack of durability from the starting pitching corps and a relatively inconsistent offense, the late-inning relief staff have been making a lot of slim leads hold up throughout the campaign. All told, so far the bullpen has had to cover 212 innings along the way and have posted a 2.59 ERA/3.41 FIP in those frames Obviously, they have stepped up when called upon. However, the frequent calls to the pen are adding up to a lot more than an overage in minutes. For instance, set up man, Steve Cishek, has already appeared in 28 games, putting him on an exhausting pace towards 80 appearances with Pedro Strop and Brian Duensing not far behind. Meanwhile, Carl Edwards, Jr. and Eddie Butler have already been forced to the disabled list, thinning the herd and perhaps a warning sign of overuse. As a result, the Cubs have been forced to cycle through a selection of AAA arms, in an effort to rest their end game arms and provide a variety of options for Joe Maddon to call upon. Through 7.2 innings, the former Minnesota Twin has not allowed a single run (earned or otherwise), racking up six strikeouts, and touching 97 mph on the radar gun. Furthermore, he's limited opponents to just two, measly hits and, for what it's worth, he's earned two wins against no losses during that time. That said, one possible cause for alarm rests in his control, as Randy has also allowed four walks in those seven frames. But, all in all, there's an awful lot to like about this 24-year old rookie. Rosario was originally acquired by the Cubs via a waiver claim back in November, after a rough debut in the Bigs in 2017. Hammered for 8 earned runs in just 2.2 innings, the Twins considered him expendable, but Theo and crew pounced on an arm with potential. 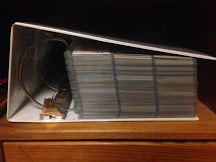 However, I did not follow suit - I did not have a card featuring Randy at the time of the roster move and I did not set out to remedy that situation. After all, the waiver wire is a busy place in the off-season and there was no guarantee that the moundsman would stay in the organization. Lo and behold, not only did Randy stick around, he was back in the Majors before May was out. Oops. Caught with my proverbial pants down, I belatedly got around to tracking down a proper card for Randy's newfound spot in my Cubs All-Time Roster Collection, after he was initially brought up as the 26th man in a May 19th doubleheader. 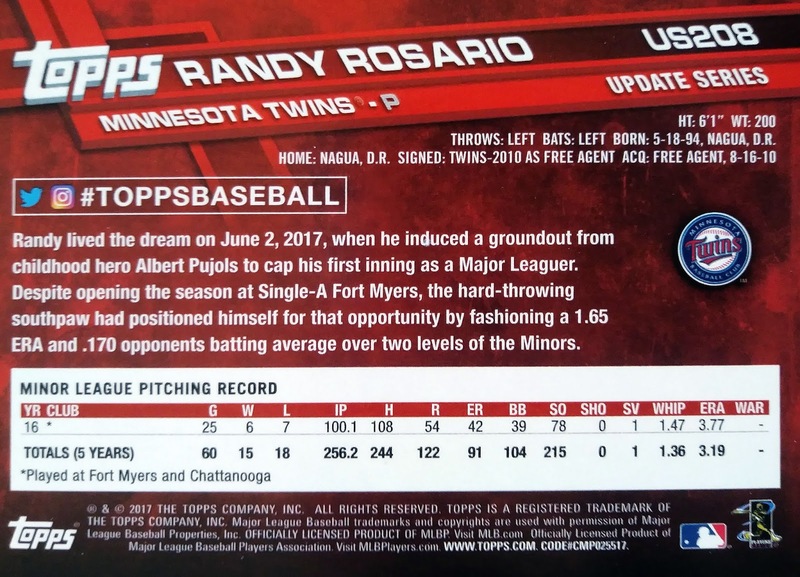 After searching out my LCS for 2018 Update singles, I was thrilled to find a copy of Rosario's rookie card as a placeholder. As an aside, you should note that the write-up on the back of this Topps single indicates that "Randy lived the dream... when he induced a groundout from childhood hero, Albert Pujols, in his first inning as a Major Leaguer." Are we already to the point where Prince Albert has been around long enough to be another Big Leaguer's CHILDHOOD hero? Gosh... I feel old. Anyway, out of all of Rosario's cardboard options, the 2018 Update Series single was certainly the most appealing. Other than some team issued minor league sets, the prospect hasn't appeared on a lot of checklists. 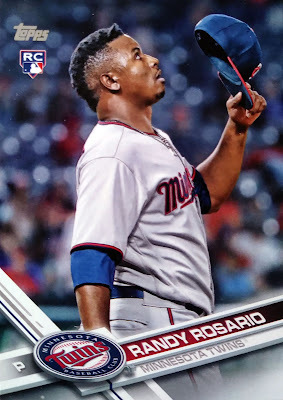 Not being deemed worthy of Bowman, Pro Debut, or MiLB Heritage, Randy was relegated to the unlicensed pajamas of Panini Elite Extra Edition back in 2013 and that's it. I think we can all agree that dilemma has an easy solution. Here's hoping that Randy maintains his early success and establishes himself as a presence in the back end of the Cubs Major League bullpen, both because it would help if the Cubs had another reliable option to prevent overuse and because, selfishly, I would like for him to appear on a genuine Cubs card come Update time. That may be a tall ask, seeing as relievers usually get the shaft in Flagship and it's offshoots, but a guy can dream, can't he? At any rate, welcome to Chicago, Randy Rosario, and good luck! The Find of a Lifetime?